"Zenzai" is sweet red-bean soup with rice cakes. It is Japanese tradition sweets. These sweets were born in Izumo-shi, Shimane. 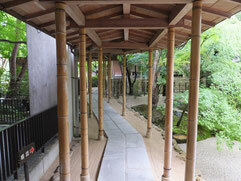 When Japanese Gods in ancient days gathered to Izumo, people offered these sweets to Gods. When you visit Izumo, it is good to eat Izumo-Zenzai. Then, you will get many good friends. Because these sweets have the energy of "matchmaking." 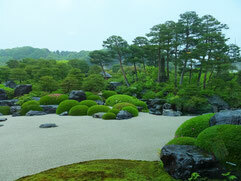 If you visit the Adachi Museum of Art, you will be good to go on the day of a light rain. 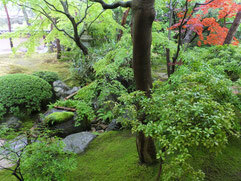 Probably, in the art museum, you will be looking at the beautiful Japanese garden in a light rain forever. You could fully enjoy trees lively there and the white clouds which rise.